Yesterday, it stopped raining long enough for a quick hike across Kiket Island in the Kukutali Preserve. I haven't seen our neighborhood eagles for a while and wondered if they might be hanging out over there. By the time I got there, about fifteen minutes later, fog had rolled in. For the moment, eagle viewing was out of the question. I decided to go exploring anyway and see what else might be going on. Left over from last season, I found Common Snowberries (Symphoricarpos albus) right next to the little parking lot. 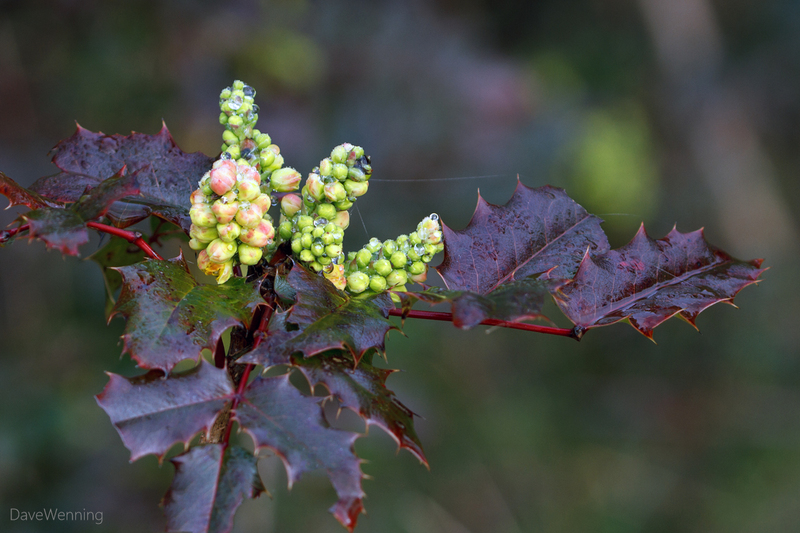 At the west end of the island, Oregon Grape (Mahonia aquifolium, Berberis aquifolium) is starting to bloom. 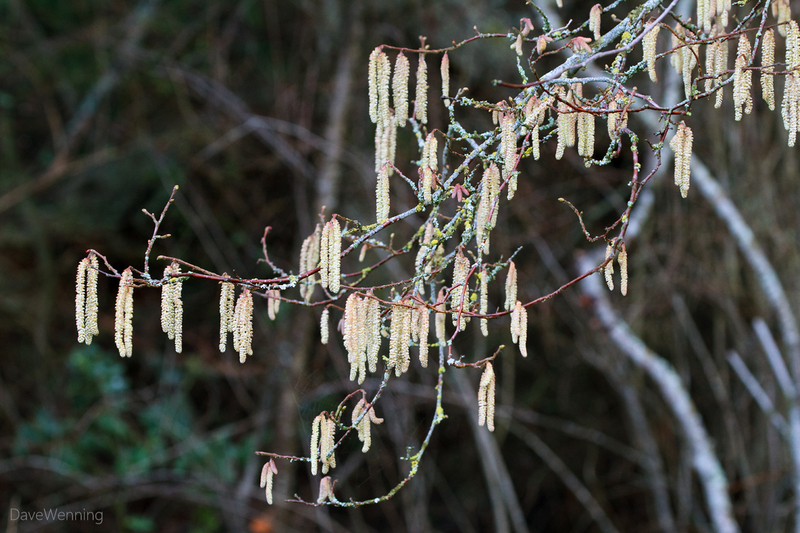 Around here, that means spring is arriving. The leaves turn bronzy red in the winter. With warmer temperatures, they will again become dark green. 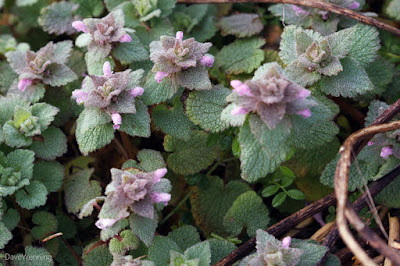 Purple Dead Nettle (Lamium purpureum) was blooming in large patches all over the tombolo between Kiket and Flagstaff Islands. 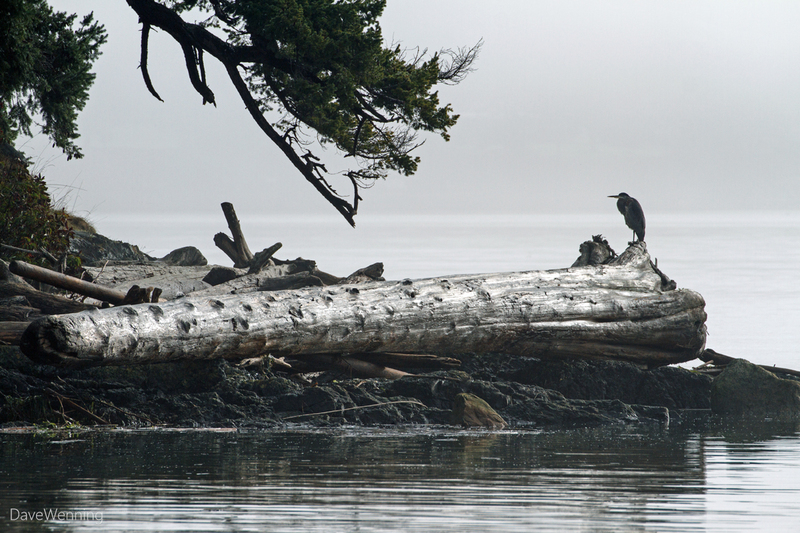 From the tombolo, I spotted a Great Blue Heron (Ardea herodias) resting at the end of the beach. 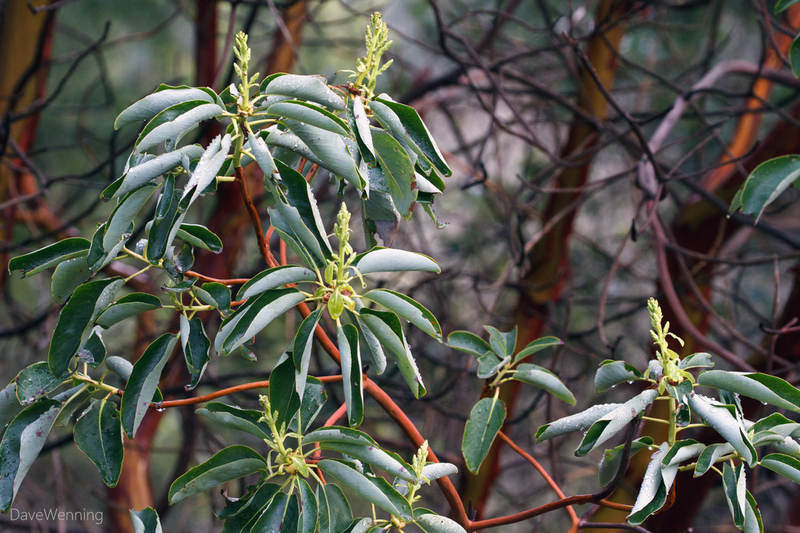 Some of the Madronas here (Arbutus menziesii) were starting to burst into bloom. 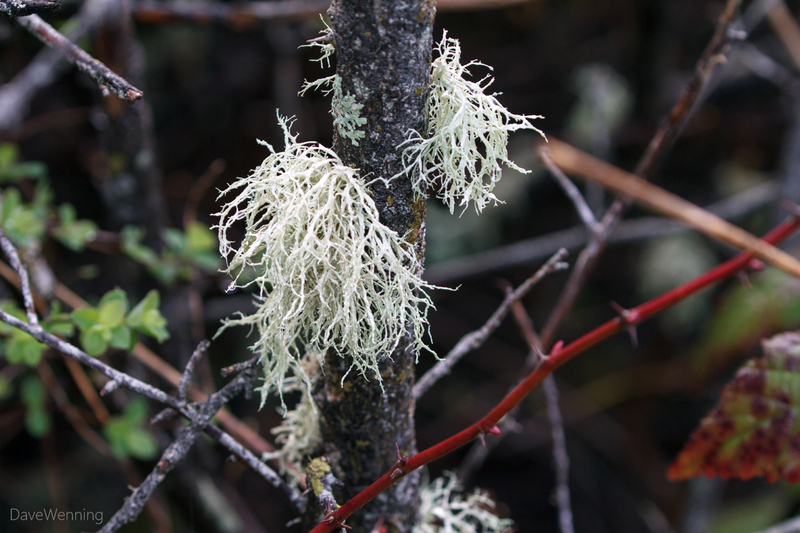 These tufts of lichen growing on a shrub caught my eye. Because of the greenish color, my best guess is Antlered Perfume (Evernia prunastri) but don't quote me. It could also be Ramalina faranacea. Lichens are difficult to ID. 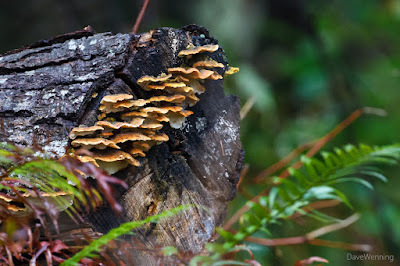 The most interesting thing about lichens is they are actually two symbiotic organisms, fungi and algae living together. 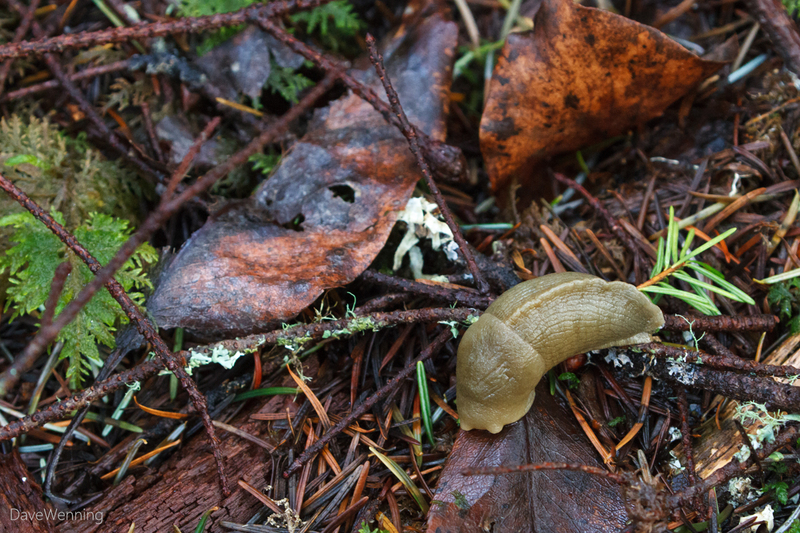 The fungus gives the alga a home and the alga provides food for the fungus. 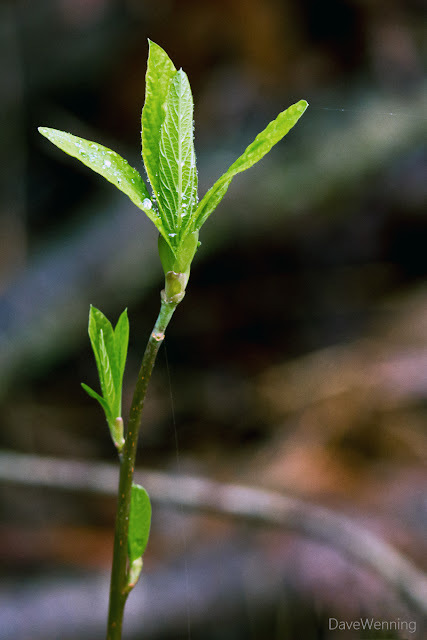 This Honeysuckle is sprouting new leaves. Another best guess is Lonicera hispidula, Pink Honeysuckle. It also goes by the name California Honeysuckle. 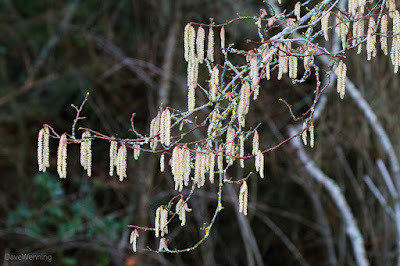 Red Alders (Alnus rubra) are also starting to flower now. These are the male flowers that will produce pollen. The female flowers look like little pine cones. Another harbinger of spring locally is Indian Plum (Oemlaria cerasiformis). Expect it to start blooming in a week or two. Finally, I couldn't help noticing this yellow shelf fungus called Chicken of the Woods (Laetriporus sulphureus). The sunlight catching it made it almost glow. Also called Sulfur Shelf, there are references indicating it is edible, but I wouldn't recommend it. There are also references describing adverse reactions in "sensitive individuals." It probably tastes like alligator. 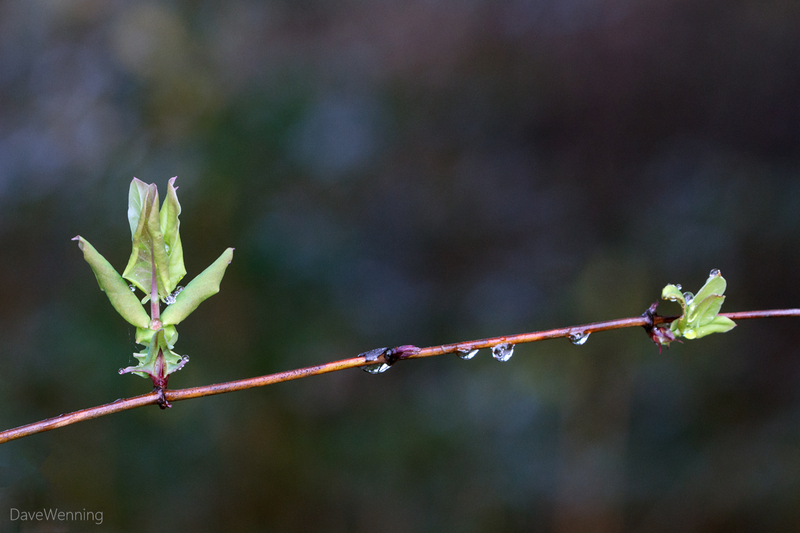 The one thing I learned on this hike was spring is definitely on the way. 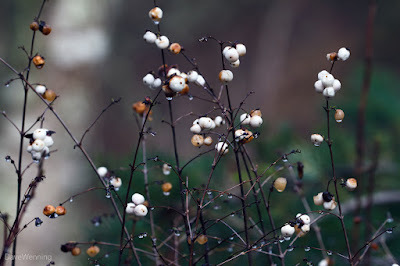 I came across this post searching Evernia prunastri , and very much enjoyed it. I've just moved to Fidalgo (in July) and am looking forward to exploring through the seasons. You've given me a very good idea of what to expect.